With the Stofix Brick Slip Cladding System, you can construct a genuine brick facade with safe, tested bricks. The facade will withstand summer rain and winter frost. The prefabricated and premortared Stofix brick slip cladding system combines the advantages of brick facade with a modern and effective method of building. Stofix means a way of constructing a genuine brick facade. 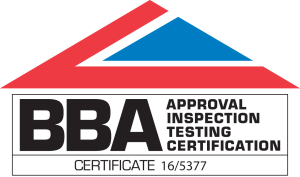 Stofix guarantees the durability of its products and offers a 20-year warranty for the weather resistance of every Stofix brick slip cladding. 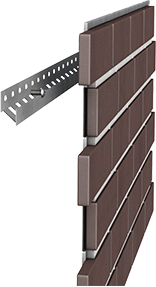 The prefabricated and premortared brick slip panels are manufactured in a factory, in ideal, uniform conditions, after which they are installed to the surface of the wall with their unique measure modulized mounting system. The Stofix system can be fixed to any load-bearing structure, which can take the load of approx. 40kg/m2. Different insulation solutions can be used. 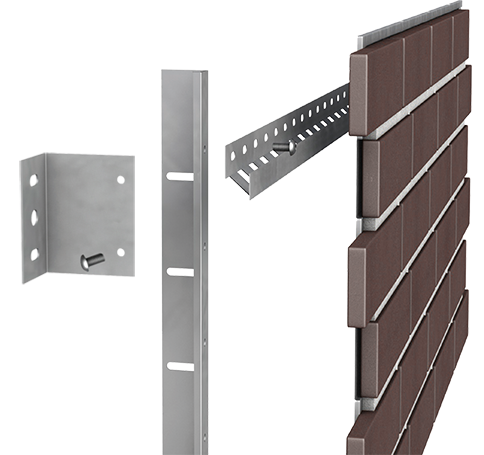 The Stofix prefabricated brick slip panels are delivered from the factory to the building site and are installed quickly upon a measure modulized mounting system. It’s quick to install and there is no need to fix individual brick slips at site. The Stofix brick panel is a combined structure of kiln-fired brick, polymer-modified mortar and a pressed metal frame. The standard size of a brick panel is approximately 600 mm x 1200 mm. depending on the size of the brick and bonding. The installation rail bears the weight of the brick slip cladding and sets the width of the ventilation cavity. When no additional insulation is needed, the Z-rails are fixed directly to the load bearing structure, which can commonly be hardwearing insulation panels. 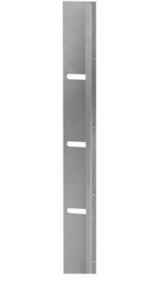 Z-rails play an important role on modular mounting system, providing precise positioning of insulation rails without measuring. The benefits are efficient installation speed and uniform outlook. the insulation rail is used to define the extrusive extent from the core wall. The rail also holds the added insulation to its place. Old walls can be straightened with the insulation rails and wall brackets. The wall brackets bear the weight of the whole system. 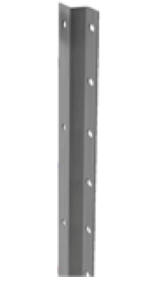 Different sizes of wall brackets make mounting system adjustable for desired insulation thickness. Bonding Standard 1/2 brick, 1/4 brick, stack bond. Special bond can be used.